Rocking chair plans are essential to anyone who wants to build a rocking chair to relax in and take life a little slower. Rocking chairs have been a part of our culture for generations. They are a popular accessory to any porch or sun room; however, sturdy outdoor versions are perfect to catch some rays. You can purchase your rocking chair but for the craftsman, building it yourself makes the furniture a little more personal. 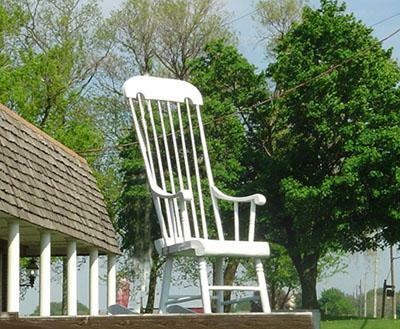 Rocking chairs originated in Europe and made their way to the United States with the first colonists. They were perfect for relaxing beside the hearth after a hard day of work. A lot of effort went into making the chair and designing it so that it would be sturdy yet capable of a smooth, rocking motion. Artistry also played a big role by enhancing chairs with decorative carvings. The art of making rocking chairs continues today. Many craftsmen who want to learn new things and test their skills are interested in building custom rocking chairs but like any construction project, you need a good set of plans. Will the rocking chair need to match the rest of the furniture or decorations? Who will be sitting in it? Is it going to be for indoor or outdoor use? Before you choose a plan, you need to know what to look for. Building a rocking chair is like putting a puzzle together. If the pieces do not fit properly, the chair will not work. It may not rock or it may just fall apart as soon as you sit down in it. Accuracy is everything. If your plans are not accurate, your chair will not look right and may not function. Keep in mind a budget. Think of the cost of the plans as well as the cost of materials. If you can't afford it, find a simpler, cheaper set of plans. How hard will it be to build? If you are a beginner woodworker, don't go for a set of plans that would challenge a master carpenter. Find something that fits your level of skills. Do you have the right tools? The best plans will do you no good if you don't have the right tools to build it. If you are going to sell it, how much will it bring? If you plan to sell your custom work, research the current market value on handmade chairs before quoting a price. Buy the plans from a reliable source. This goes back to Number 1 above. If the source is not reliable, the plans may not be accurate. Get plans from somewhere that you trust. In order to make the perfect rocking chair, you have to have the right tools and materials.